We understand its a difficult decision to make, to keep your pet or to surrender to the shelter in hopes of your pet finding a new home so we have compiled some helpful information to aid you in making this decision. 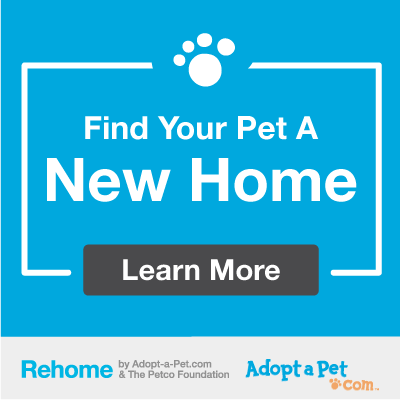 Adopt-a-Pet.com has created this wonderful new resource for people considering surrendering their pet. We strongly encourage you to utilize this service, offered for free to Glynn County residents. Additionally, more information about local resources can be found in our new Pet Resources Brochure. Please note - if you do have to surrender your pet to Glynn County Animal Control, you must show proof of Glynn County residency as well as a copy of the animals current Rabies certificate. We can not accept the rabies tag as proof of Rabies vaccination. Also - The Animal Control department can not guarantee that we will be able to take in your pet if you are wishing to surrender your pet. Our primary obligation is to house and find homes for the stray animals. We dont always have room to take in additional pets.